Editor's Note: This post, Let’s Work Together To Improve Care For Older Adults With Complex Needs, was originally published on the Health Affairs Blog, February 14, 2017. Copyright ©2017 Health Affairs by Project HOPE – The People-to-People Health Foundation, Inc. In the three minutes it takes to read this blog post, an average of twenty-one people will turn age sixty-five, joining the largest cohort of older adults that our country has ever known. The simple truth is that we are living and working longer, which also means that we are redefining the meaning of “later life” and that older people are enriching our communities and society in new and vital ways. But many of us won’t enjoy a gentle retirement. Older adults are arguably the fastest growing subset of what are increasingly called “complex” patients—those with significant health and social needs, often including several chronic health conditions. Figuring out how to provide better care to them—care that works—is both a moral and economic imperative. When we think of the phrase “people with complex needs,” it is important to remember the word “complex” has multiple meanings. We might be talking, for example, about patients with some combination of diabetes, asthma, hypertension, or renal failure. Other patients might have one very serious condition like advanced Alzheimer’s disease. In addition, patients often have many unmet social needs that can further hamper their efforts to improve their health. In fact, we learned in a recent survey, funded by the Commonwealth Fund, that while 95 percent of patients with complex needs have regular access to care, 58 percent of the patients with complex needs did not have a care coordinator helping them navigate the system, and 62 percent experienced stress about their ability to afford housing, utilities, or nutritious meals. Those unmet needs are part of the reason that 47 percent of the patients with complex needs visited the emergency department (ED) multiple times in the previous two years. All too often, older adults in the United States with complex needs encounter a fragmented system that is ill-equipped to help them handle three, four, or even five chronic conditions simultaneously. Instead of a single patient receiving care that’s coordinated, he or she might have a general practitioner treating diabetes, an orthopedic specialist treating foot pain, and yet another health professional—an ear, nose, and throat (ENT) specialist—treating tinnitus. This sort of disorganized, unplanned care is all too common—as well as expensive and ineffective. Such care costs our health care system millions of dollars each year while often forcing patients to make multiple ED visits in short order. 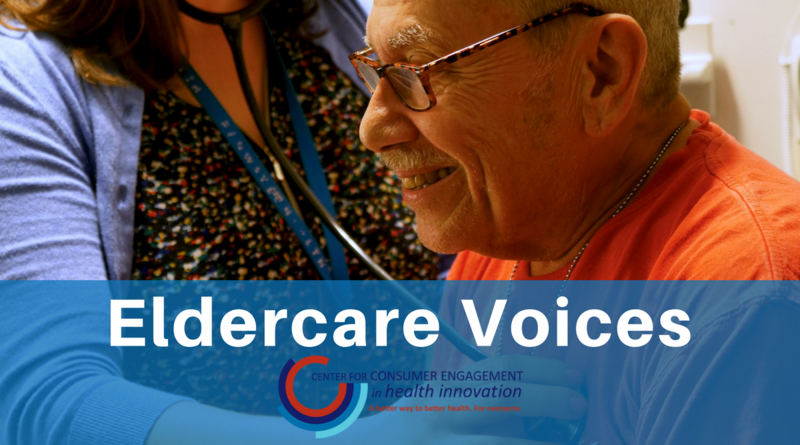 But we know from experience that we can solve even the most complex problems that older adults face when providers deeply understand their patients’ needs and intentionally coordinate their care across many different settings. For example, here at The John A. Hartford Foundation, we helped craft an innovative model to help older patients with complex chronic illness—a unique blend of specialized care management and technology support. Peer-reviewed research has demonstrated that patients enrolled in this model reduced their odds of hospital admission by up to 40 percent, while their annual mortality rates dropped by 20 percent. The urgency of treating patients with complex needs regardless of age prompted five foundations—the Commonwealth Fund, The John A. Hartford Foundation, the Peterson Center on Healthcare (established by the Peter G. Peterson Foundation), the Robert Wood Johnson Foundation, and the SCAN Foundation—to come together in 2016 and build upon our collective expertise and resources. We know that collaboration naturally leads to better ideas, and when we align our funding, we can have a greater impact than simply one foundation, going it alone, could have. Together, we’ve been working with experts at the Institute for Healthcare Improvement to develop The Playbook: Better Care for People with Complex Needs, which curates information on improving care for this critical population. The Playbook provides tailored information to help health systems, insurers, policy makers, and others to access case studies, analyses, and information on promising care models and policy opportunities for testing, spreading, and replicating these models nationwide. As part of this effort, we’ve created a reference guide to help health care leaders navigate the many promising models of care for this population and determine how these approaches might help specific patient populations. The Playbook also provides resources for specific subgroups under the broader umbrella of people with complex needs, including frail older adults, people with multiple chronic conditions, people with behavioral and social needs, people with advanced illness, and adults under age sixty-five with disabilities. The Playbook will be updated on an ongoing basis as we identify new promising models of care. The John A. Hartford Foundation has a long history of trying to solve some of the most complex problems that older adults can face, and we know from experience that our current health care system is simply too complicated and fragmented to properly treat this patient population. By disseminating promising approaches, we have a chance to make meaningful strides toward better care. Ultimately, we hope to improve how we treat people with complex needs throughout the health care system and to end the tragic legacy of disorganized and expensive care for the people who can least afford it. 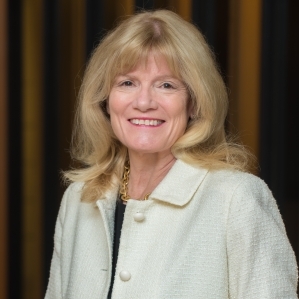 Terry Fulmer, PhD, RN, FAAN, is the President of The John A. Hartford Foundation in New York City, a foundation dedicated to improving the care of older adults. Dr. Fulmer is nationally and internationally recognized as a leading expert in geriatrics and is best known for her research on the topic of elder abuse and neglect, work that has been funded by the National Institute on Aging and the National Institute of Nursing Research. She serves as the chief strategist for the Foundation and was recently recognized for her leadership as one of the top 50 Influencers in Aging by PBS’s Next Avenue, the premier digital publication dedicated to covering issues for older Americans.